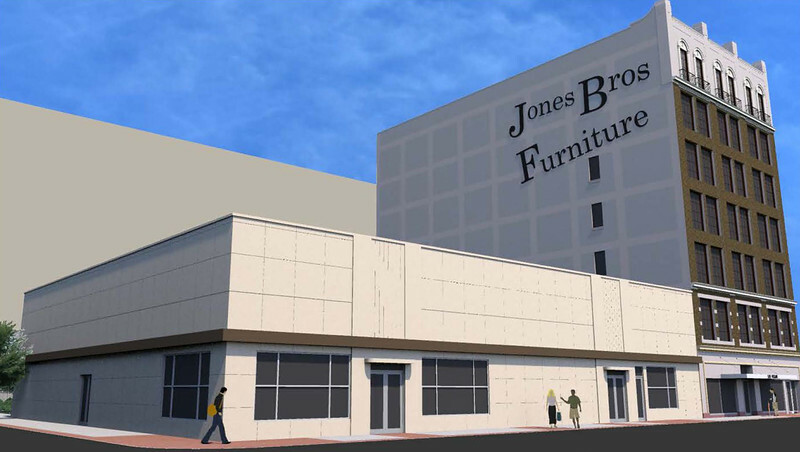 The long abandoned Jones Brothers Furniture Building at the southwest corner of Church and Hogan Streets is the latest structure in the Northbank identified for redevelopment. Ace Jax LLC. intends to develop the 7-story, 39,000 square foot building as a mixed-use project featuring 28 apartment units along with a coffee shop at street level. In addition, the phased project includes the restoration and conversion of the former Western Union building next door into 9,600 square feet of retail and dining space. The Jones Brothers Furniture Building was founded in 1902, following the boom that occurred after the Great Fire of 1901. It was owned by W.G. and Michael K. Jones, who employed their younger brother R.L. Jones to work in the store. They had a building built in 1913 on Main Street which was later demolished in the 1960s. By 1910, R.L. Jones started a rival company, Standard Furniture. In 1926, he developed this building, one story taller than his brothers’ six story building, to house his prospering business. Designed by Jefferson D Powell, the building was constructed out of reinforced concrete and features Mediterranean Revival detailing at its upper level, as well as originally having a suspended canopy over the main entrance. Other notable features include prism glass above the street-level entrance, the seventh-floor windows with their wrought-iron balconies and spiral columns, and a decorative wrought-iron staircase visible from inside the lobby. In later years, R.L. Jones’ sons purchased Jones Furniture Company and merged the two companies together, forming one of the largest family owned businesses. They kept the Jones Brothers name and continued operating out of the Hogan Street building. 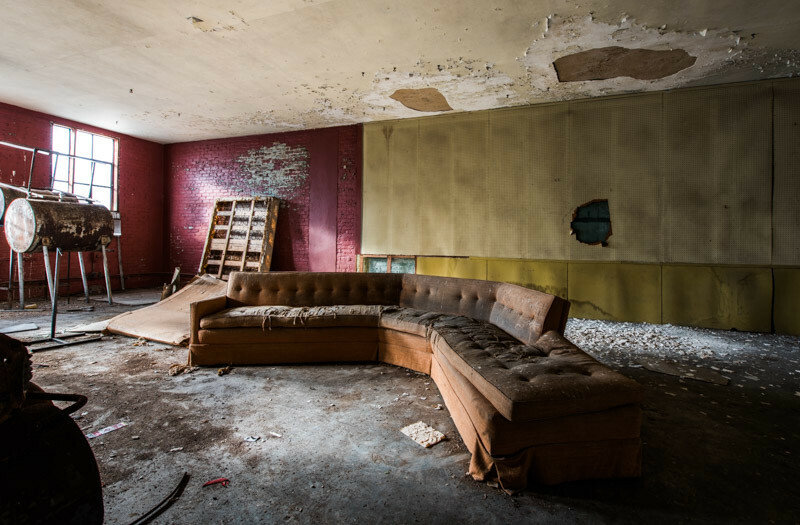 Now empty and in a state of neglect, there were plans to turn the building into an office complex for attorneys who frequent the courthouse just a few blocks away, but that never came to fruition. The building is currently for sale for $950,000. Here’s a look at the proposed development plan for the project, which is up for DDRB conceptual design approval on May 17, 2018.